Much of the excess fat stored on your body can be burned away if only the supply of oxygen were sufficient to maintain a high level of combustion. OxyLoss Super-Oxygenated Air Capsules do just that. 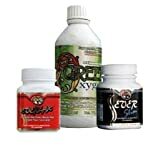 These dietary supplements safely infuse oxygen into your digestive tract to increase the burn rate of stored fat. Acting much like a turbocharger does in a race car, OxyLoss Super-Oxygenated Air Capsules add a burst of oxygen into your system to literally burn fat away. 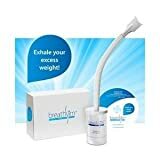 Note: Weigh loss by those on the Super-Oxygen Diet has been shown to be accelerated with the addition of OxyLoss Super-Oxygenated Air Capsules. For more information about purchasing OxyLoss, contact us.